This 6-Channel radio is a perfect starting point for most beginner and intermediate airplanes. With the stability and reliability-supported technology that the Detrum GAVIN-6A transmitter offers, you can learn and grow in the hobby with the confidence and support you deserve. 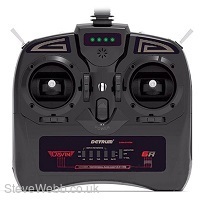 Stability and reliability-supported technology that the Detrum GAVIN-6A transmitter offers, you can learn and grow in the hobby with the confidence and support you deserve. The Detrum GAVIN-6A 6 CH digital transmitter adopts powerful wireless chips with an extended power amplifier (PA) and low noise amplifier (LNA), which maximizes the system output power and receiving sensitivity, thereby improving the signal coverage. By using an all-band gain antenna for the transmitter, the transmitting efficiency is greatly improved. Utilizing a diversity antenna combined with the signal detection and switching algorithm, the receiving signal is stable and reliable. Adopting a 2.4GHz Direct Sequence Spread Spectrum (DSSS) and multiple frequency-hopping spread spectrum (FHSS), the Detrum GAVIN-6A 6 CH digital transmitter has high receiving sensitivity and strong anti-interference capability, can support a stable remote control link to your aircraft for more than 3,200 feet on the ground and more than 5.000 feet in the air. The Detrum GAVIN-6A 6 CH digital transmitter supports V-tail and Elevon mixing functions with a one button toggle switch. The high-resolution (4096-segment) sticks allow the RC pilot to experience smooth and precise flight handling. 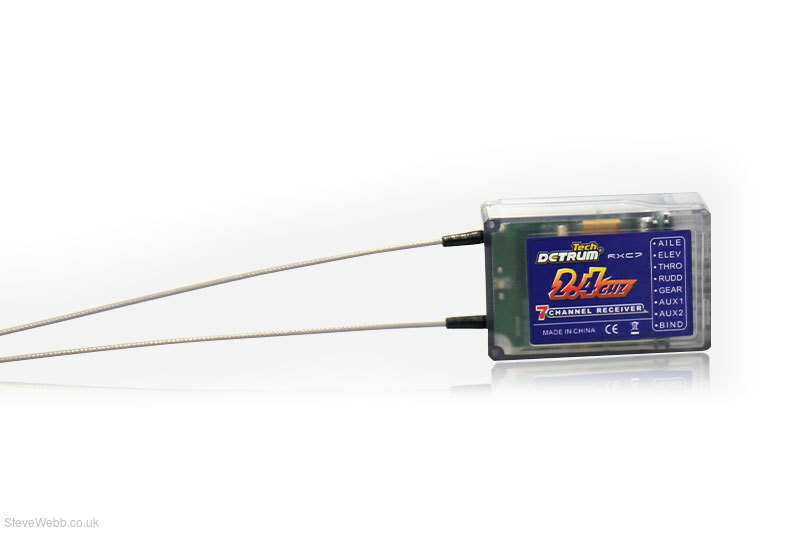 The Detrum GAVIN-6A 6 CH digital transmitter uses low power devices and transmits the signals at intervals which reduces transmission power leading to lower battery consumption and longer battery life. 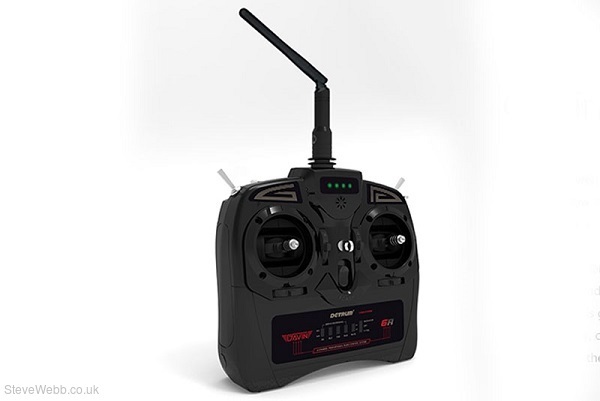 The 6A transmitter comes with battery level LED indicators and low battery alarm functions, supporting a safer, more enjoyable flight. Double bearing assembly sticks provide precise control and excellent operating experience and won’t come loose even after long operation times. Combined with the SR76A gyro & receiver or 6GSA flight controller, you can use the one-click rescue function, which is designed for beginners.